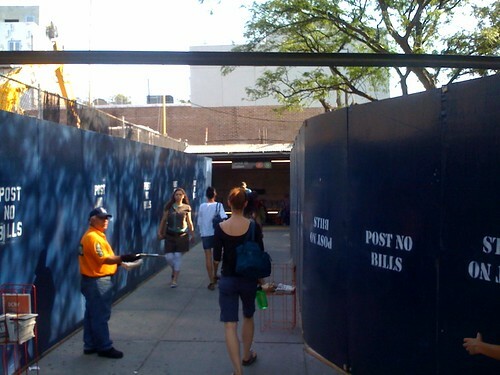 Barriers erected outside the Carroll Street MTA entrance at 2nd Place and Smith Street, in Carroll Gardens, Brooklyn. See outside.in for more his­to­ry of this con­tro­ver­sial devel­op­ment. 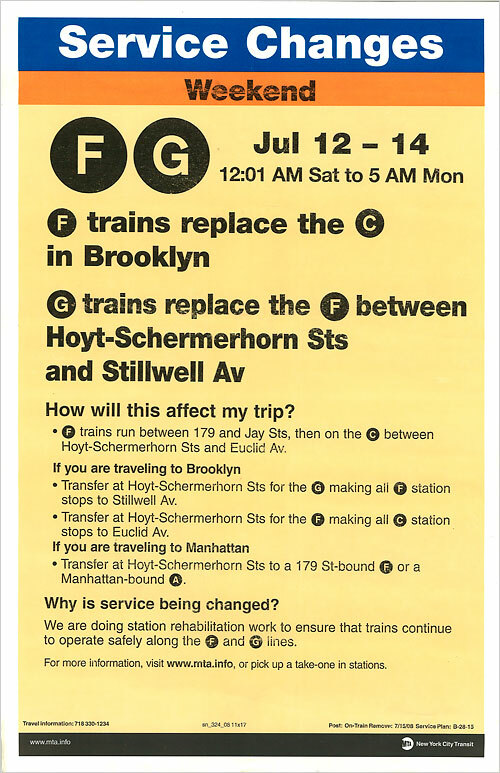 The MTA’s Ser­vice Changes posters are get­ting more and more inde­ci­pher­able… This F-train one from this past week­end was a doozy, but we man­aged to make it back and forth from Man­hat­tan with­out inci­dent.